Presentation topics include ‘Breaking the GPU Memory Barrier,’ ‘High-End Production Features,’ and a tech preview of a new Hybrid Renderer. LOS ANGELES -- Computer graphics technology developer Chaos Group is set to present several major advances to V-Ray’s GPU rendering capabilities at the 2017 GPU Technology Conference in San Jose, CA. Chaos Group lead GPU rendering developer Blagovest Taskov, will present his talk “Next Generation GPU Rendering: High-end Production Features on GPU” on Tuesday, May 9 at 10:30 a.m.
GTC attracts developers, researchers, and technologists from some of the top companies, universities, research firms and government agencies who are invested in solving key production challenges with NVIDIA GPUs. During Chaos Group’s talk, Taskov will cover key issues that have affected the automotive, design, architecture and entertainment industries, as well as the solutions the company has pioneered to solve them. Memory limitations inherent to GPU computing have always been a fundamental challenge when rendering on GPUs. 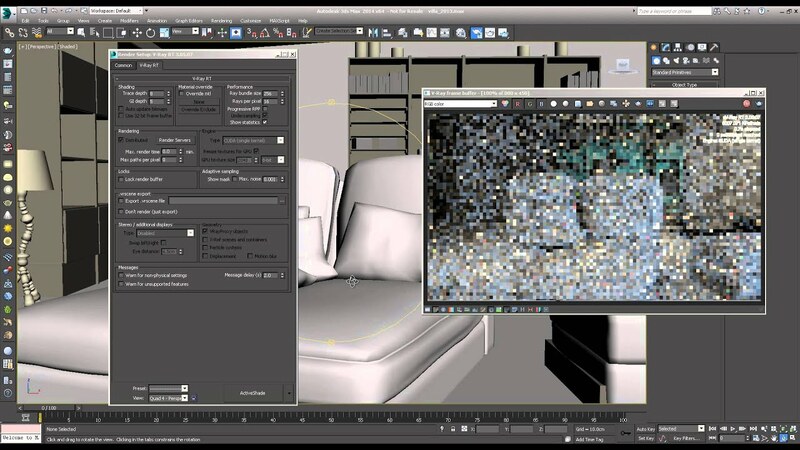 With recent advances to V-Ray GPU, Chaos Group has reduced overall memory usage by up to 70%, and up to 700% through On-demand Mip-mapping, an intelligent way to automatically resize textures. Since textures consume the most memory, solutions like these will radically increase the size and complexity of the scenes artists and designers can render. In addition to memory-efficient software developments, V-Ray is now the first commercial renderer to support NVIDIA’s powerful, high-bandwidth interconnect NVLink, which allows video memory to be shared between graphics cards. NVLink is now available in the latest NVIDIA Quadro GP100 and NVIDIA Tesla P100 cards. Taskov will explain the process that bridged V-Ray with NVLink, resulting in a connection that expands the GPU memory threshold even further. Taskov will also share an exclusive technology preview demonstrating V-Ray’s GPU renderer running on CPU. For the first time, V-Ray will compute the same CUDA code on both the GPU and CPU, with the exact same results, allowing users to maximize their hardware, while paving the way for wider adoption of GPU rendering. Further, V-Ray GPU R&D will be demonstrated, including high-end production features like Adaptive Lights, a fast new lighting algorithm that significantly reduces render times; Stochastic Flakes, which help automotive design teams create car paints with procedural glitter and sparkle effects; and new support for NVIDIA’s MDL materials, which is quickly gaining traction as an industry-standard material format.